A Chechen immigrant fatally shot by an FBI agent in Florida had connections to one of the Boston Marathon bombing suspects, the Associated Press reports. 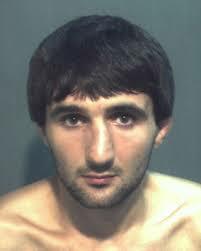 Ibragim Todashev has a lot in common with bombing suspect Tamerlan Tsarnaev, who was killed during a shootout with police. He has Chechen roots, experience with mixed martial arts and lived in Massachusetts. The AP wrote that Todashev may have been involved with a triple murder in which Tsaraev is emerging as a suspect. What remains unclear is why Todashev was shot. Posted: 5/23/13 at 9:12 AM under FBI, News Story.